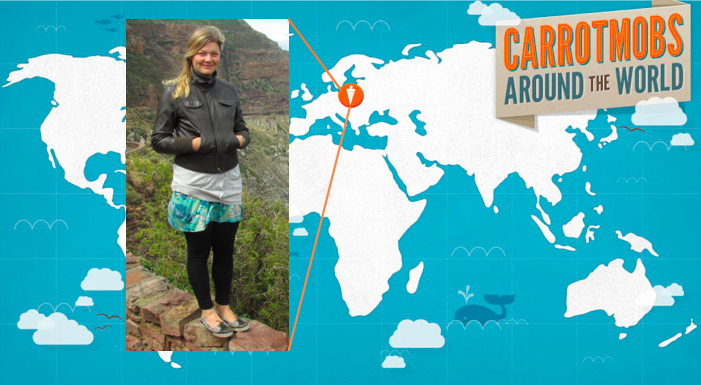 Lauren is a leader in the sustainability movement at Ithaca College and started Carrotmobbing last April. 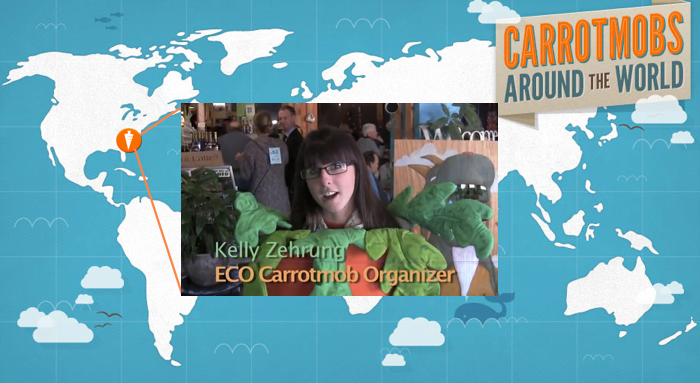 She first learned about the Carrotmob model from a SUNY Oswego student at the Association for the Advancement for Sustainability in Higher Education Conference, watched this video, and was convinced. The rest is history! I was drawn to the movement because of the “win-win” deal it creates. I Carrotmob because it gives consumers and local businesses the power to create positive change within the local and global community. What’s your favorite part of a campaign? During the event, at the peak of its busyness, just seeing the line of customers to check out growing so long that it actually extends right out the door. I get satisfaction knowing that the longer that line gets, the greater impact we are creating as a community. I also enjoy having live, musical performances at the event because it makes it even more of a party. I love seeing all the small details that have been planned out for months come together to create a successful and fun event. What’s your secret for getting such a big crowd of people to attend? We use a lot of guerrilla advertising tactics like putting fliers in *unconventional* places. We also have Net Impact members take turns wearing a carrot costume and walking around campus telling people about the event. Facebook also helps! 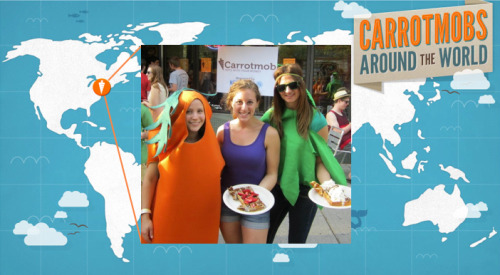 Net Impact organizes one Carrotmob a semester so look out for our Spring 2013 campaign at another local Ithaca business! For advancing sustainability through its 2012 Carrotmob campaign, Ithaca College’s Net Impact chapter was given a “Sign of Sustainability” award by Sustainable Tompkins! Congratulations mobbers!